Gin. It’s good. Gin and Tonic. Its good. Martinis with gin. They’re good. Tanqueray is good. Never made a French 75. Why not mak one tonight? Sure. Why not. Mix the lemon, gin and sugar in a cocktail shaker. Shake well. Pour into rocks glass. Place maraschino cherry in the glass. Top with the champagne. Stir well. Sip. The one you see above, that’s a cherry French 75. What makes a cherry French 75? 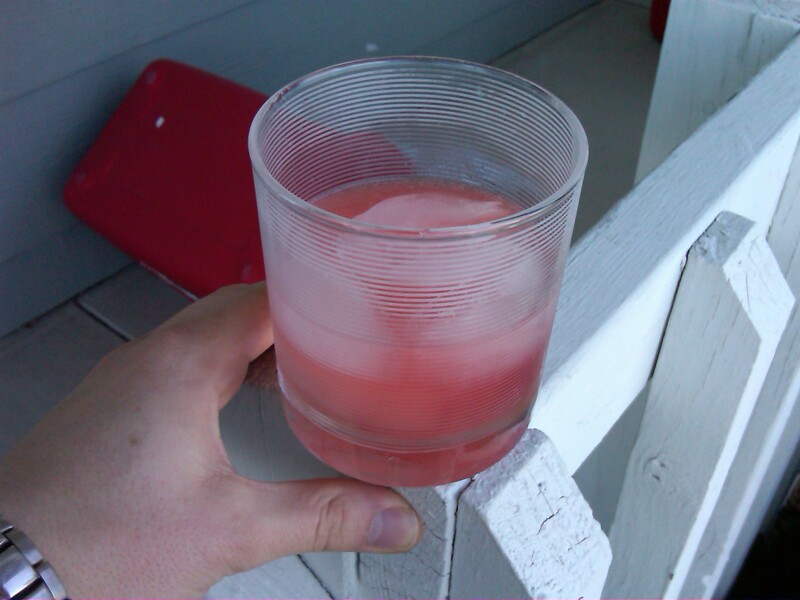 Pour a little bit of maraschino liquid into the drink. Mix again. Drink. It’s very good. Like a cherry limeade. Errr. Cherry lemonade. From Sonic.